Ask fellow campers about "Hickory Creek COE (Closed until March 2019)" and nearby attractions. Question: Can a 22' runabout get under the I35 bridge to enter the main part of the lake? Answer: I am not sure which bridge you refer to. However, I didn't see any bridges that wouldn't allow a 22' boat through. Our RV was 44' and we had no difficulty. There is a lot of construction going on constantly. I'd call the park and ask. You can get the park number on ReserveAmerica.gov or Recreation.gov. We booked 7 days and end up staying 9. Awesome campground with great site , walking trails , biking and boating. The water was warm and great sunsets. My only complaint is not enough 50amp and no sewer at the sites. They only have one dump station for 124 site. Even with that the wait time was not bad. The staff where helpful and friendly. We camped at Hickory Creek COE (Closed until March 2019) in a Motorhome. Could not get a pull through, but site was large enough that I could back in my toad and motorhome. The road to get in was very rough and unpaved in parts because of construction. We camped at Hickory Creek COE (Closed until March 2019) in a Motorhome. We came in mid week without a reservation, but we had checked that morning and had a list of available 50 amp sites open for 3 days. The wonderful women working at the entrance booth recommended site 87 to us and it was a fantastic lakeside site. We had a great breeze off the lake and could actually sit outside during the day. Temps were hitting 97 during our stay. Like many COE campgrounds, the sites vary big time. Check details on the reservation site (which does not describe grade) so a partial A list for MH's are 13, 14, 16, 18, 20, 26, 34, 48, 52, 60, 74, 79, 83, 85, 87, 88, 89, 97 & 99. Some B sites that will also work are 1, 3, 28, 29, 37, 43, 47, 50, 51, 54, 55, 64, 65, 81, 82 & 90. Smaller and towed units have much more options. OTA TV and Verizon were both very good. We camped at Hickory Creek COE (Closed until March 2019) in a Motorhome. Not much around in the way of a good local watering hole. We tried 3, Walter's is nearby and is a complete dump. Lake Dallas Point is a much the best option and has very good food, but it is a smoking bar so be warned. Tornado Alley Pub is non-smoking, but was not a place we would order food at. Typical COE park. It is very nice. . They really need to update electrical hookup on accessible sites, 30 amp makes the bigger units struggle in Texas weather (however, no points off, knew this going in) . The park appeared to be kept in very good order. The shower houses were clean, but a little dated. We stay in accessible sights when possible. Site 72 is listed as such... however, couldn't access picnic table.. quite a way down a small embankment, with gravel... wheelchair just couldn't cut it! (See photo). Would have preferred to give a strong 8.5. We camped at Hickory Creek COE (Closed until March 2019) in a Fifth Wheel. Widely spaced, wooded sites on or near the lake. Easy access off of I35E but far enough away to be undisturbed by traffic noise. Our pull-through was long enough for the truck and guest vehicles. Hiking trails, the lake, boating, wildlife - a peaceful setting so close to the big city. The restrooms are old and could be updated, but are clean and serviceable. Be sure to know when the gate closes at night. There is no after hours code, and you could be locked out. We camped at Hickory Creek COE (Closed until March 2019) in a Fifth Wheel. Major retailers are just up the road. Pros: Long and level site with lots of room between sites in general. We enjoyed hiking the trail to the boat ramp. Great views of the lake. Reasonable proximity to DFW. Cons: no sewer (but excellent dump site) and bathrooms didn't get any attention while we were there. Showers were fine. Price is high compared to other CoE parks we've used in neighboring states. We camped at Hickory Creek COE (Closed until March 2019) in a Fifth Wheel. Check out the Bureau of Engraving and Printing tour. Free and very interesting. We stayed here over Thanksgiving after spending a week at Palo Duro Canyon State Park. While it might lack the grand views Hickory Creek was a pleasure to stay at. Our site looked out on the lake which was only 100' from the front door of our RV. What was also nice was the cluster of trees 20' from the camper which allowed us to string up our hammocks. We tried our hand at fishing but had no luck (likely a user error rather than a lack of fish). There were a few boats on the water but nothing that detracted from our stay. The only complaint (and its a very minor one) is how close the campground is from the DFW airport. If a silent sky is mandatory, this might not be the campground for you. After 20 years living in Houston, TX my family and I hardly even noticed the planes that passed over head every 10 - 15 minutes. Hickory Creek was great and has been put on our "to-do again" list. 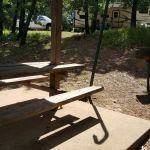 We camped at Hickory Creek COE (Closed until March 2019) in a Travel Trailer. 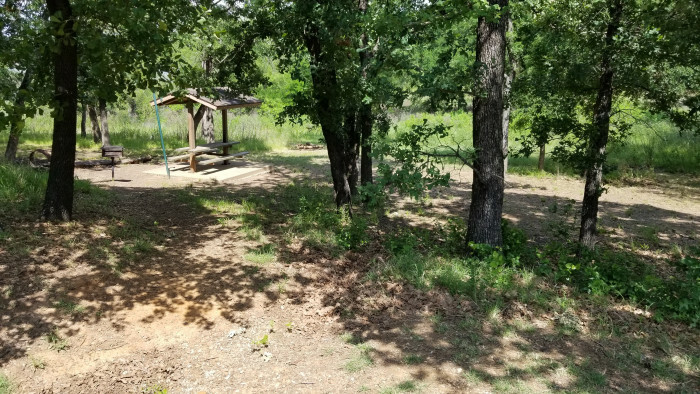 This is a COE Park and is located in a great area with lots of amenities north of Dallas. We saw deer everyday some turkeys and had a lovely site (11) right on Lake Lewisville. The site was on broken asphalt and not level. This park is very quiet during the week but as soon as Friday comes the RV's start rolling in, so really crowded on the weekends, although still very quiet at night. The COE has a policy of only 14 nights and then you can apply for an extension which we tried to do, you can apply 4 days before your date you are to leave. The rangers approve if you stay or not, the problem was they don't notify you until it is time to leave which doesn't leave time to make other arrangements if you are not given a spot. There is no sewers but a dump station. Sites are well spaced apart. We camped at Hickory Creek COE (Closed until March 2019) in a Fifth Wheel. A great RV Park right on the lake. Large sites with electric and water, with a picnic table, BBQ stand and a firepit. Close to all the things to see and do in Dallas & Ft Worth. Quiet at night. Just a great place to stay. We camped at Hickory Creek COE (Closed until March 2019) in a Motorhome. We took in the Book Depository Museum and the George W Bush Presidential Library. Only stayed for 2 days, but was a BEAUTIFUL campground. Quiet and right on the lake. I stayed in a pull-through site, and it had a fire-pit, table, etc. Just beward that there are no sewer connections and only a dump-station that is pretty far from most campgrounds. However, given I only stayed for 2 days, it wasn't a big deal. 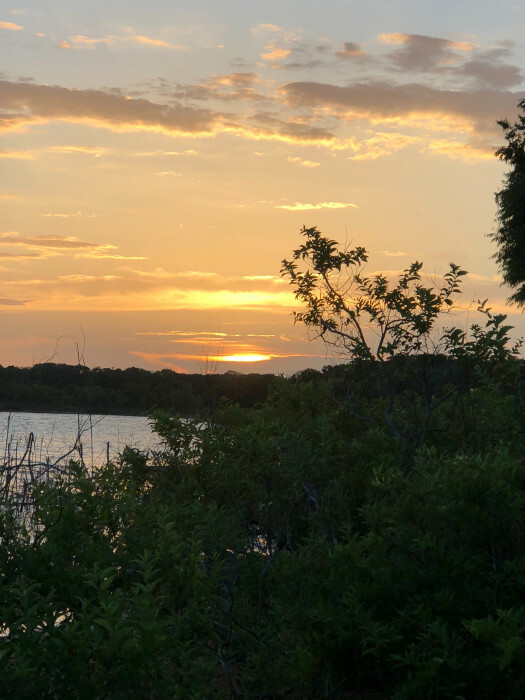 We camped at Hickory Creek COE (Closed until March 2019) in a Travel Trailer. Roomy long sites with a few pull through although 50 amp spotty. One crazy thing I'd never encountered before, an 11pm gate closing with no entry after that time, what a crock. Spoiled some of our tourist ventures for sure. This is beauracracy run amok. We camped at Hickory Creek COE (Closed until March 2019) in a Motorhome. Excellent to explore area except for the idiotic 11pm gates being locked, no entry allowed after that. That's just crazy. This is a lovely park. Lots of walking and biking trails. Very clean. We had trouble with defective circuit breaker on power pedestal. Were moved to another site because maintenance would take a week or longer to repair. Main complaint is 10:00 curfew. Gate locks at 10:00 and there is no access code, so no access after that. Cell service was great on Verizon and AT&T. There is a Pack 'N Mail in Corinth, right near by. They will accept packages for you for a small fee. Very nice and reliable. 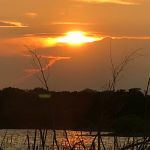 We camped at Hickory Creek COE (Closed until March 2019) in a Motorhome. There is a Pack 'N Mail in Corinth, right near by. They will accept packages for you for a small fee. Very nice and reliable. Shopping area in Corinth is very helpful. Groceries, banking, etc. 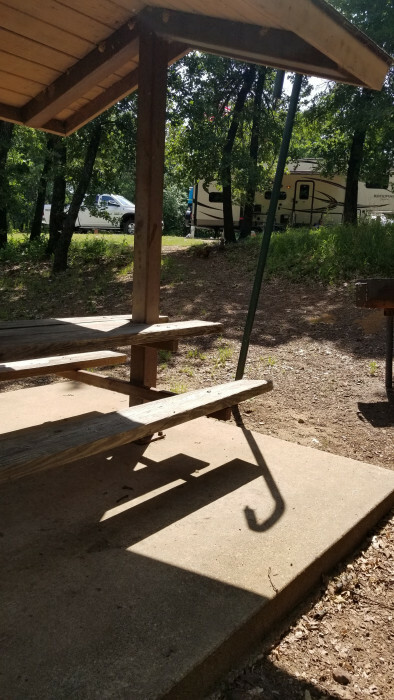 Hickory Creek is a lovely COE campground with good access to Dallas on reasonably priced mass transit with a station within five miles of the campground. Road access to Dallas on 35 is currently under heavy construction making driving in more challenging. This campground is well maintained, sites are large and lovely, interior roads are easy to navigate and well laid out. 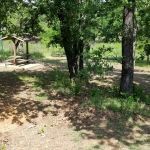 Given its proximity to Dallas, the campground was a wonderful peaceful place to visit the area. Camphosts were welcoming and helpful with information both about the campground and the area itself. The views from the sites in the campground are beautiful. As other reviewers have noted, this campground does close all access at night. While we were there, it appeared that the closing time has been updated to 11 PM. We camped at Hickory Creek COE (Closed until March 2019) in a Fifth Wheel. 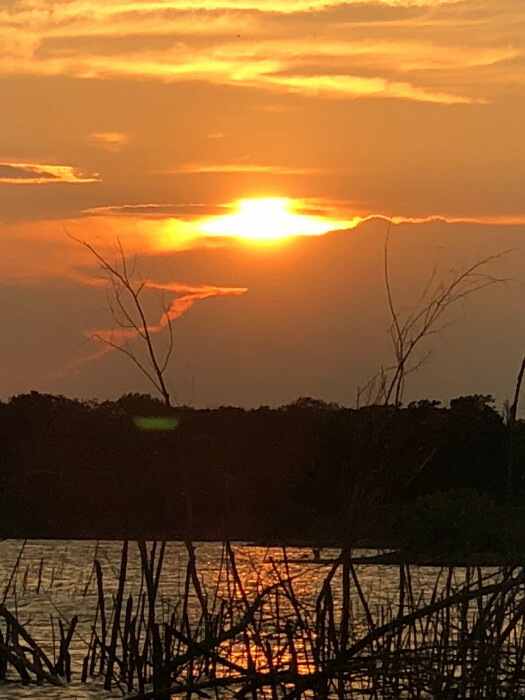 Hickory Creek Park is a Corps of Engineers park on the north side of Lewisville Lake near Dallas, Texas. It has 121 RV campsites. All have water and electricity, but no sewer at sites. Some sites 50A electric, but most are 30A. Many sites have lake access and views. Two plus miles of wooded hiking trails. Walmart, Albertsons grocery and restaurants only a couple of miles away. Very popular, urban campground. We were in site 35 with 50A electric and great lake view. We've been here many times and will return. We camped at Hickory Creek COE (Closed until March 2019) in a Fifth Wheel. What a nice park. Clean, quiet and open enough to feel like you are outdoors. Power and water are placed properly and worked great. ( no sewer but a dump station) Lots of sites with lake views and bank fishing. We camped here in a 40' motorhome. We camped at Hickory Creek COE (Closed until March 2019) in a Motorhome. Walking in the campground - nice paved walking paths as well as the campground roads. Be aware that the exits off of I-35E may have been repositioned (or closed) since your GPS's maps were updated - we found Waze was the most reliable information. 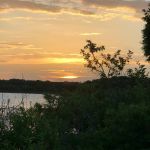 When coming to the campground from the south in the toad (not the RV), we found it was usually better to get off on the Lake Park exit and take a very long frontage road path rather than the Swisher Road exit. Try to avoid DFW during rush hour traffic times. Lots of hwy construction taking place north of DFW interstate. Walmart and Albertson's grocery 2 miles north. Are you affiliated with Hickory Creek COE (Closed until March 2019) ?